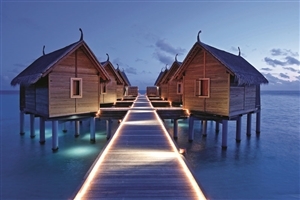 Sitting in the North Male Atoll, the Constance Moofushi Resort provides five star luxury for anyone wanting to make the most of their dream break to the Maldives. 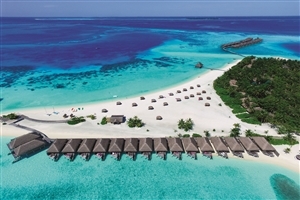 Enjoy the opportunity to feel the sand between your toes as you relax on the beach before returning to your stylish accommodation, whilst top class dining and innovative spa treatments also await on your island adventure. 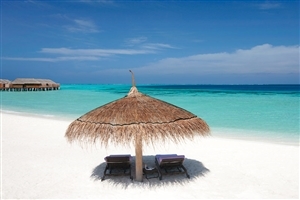 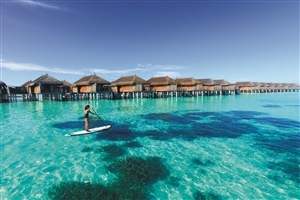 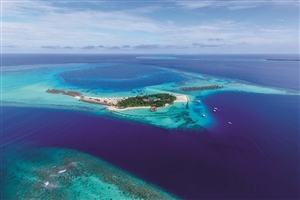 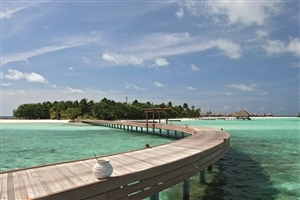 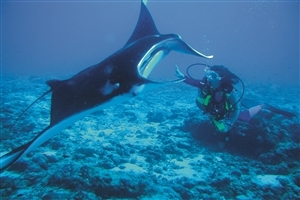 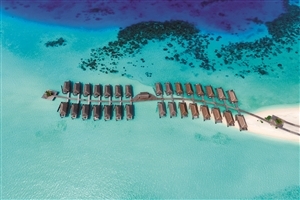 If you want five star luxury during a break to the Maldives then the Constance Moofushi Resort will tick all the boxes. 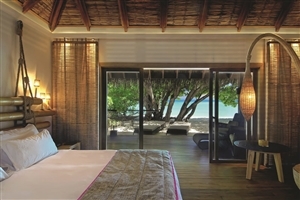 From stylish and spacious accommodation to top class dining, a well equipped spa and stunning beaches where you can lie back, enjoy the sun and watch the world go by, you’re sure to enjoy time spent on a little piece of paradise in the heart of the Indian Ocean. 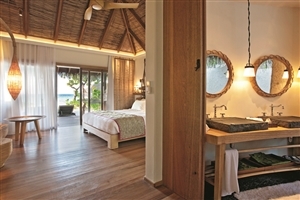 Beach Villas provide guests with 57sqm of accommodation space and are suitable for up to three guests. 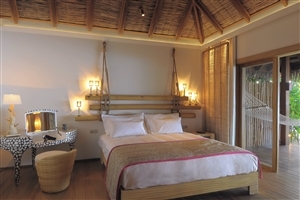 Thatched palm ceilings give an authentic feel to the spacious rooms, which feature a stylish bathroom and a fully furnished terrace – where you can sit back and take in the view from your own hammock. 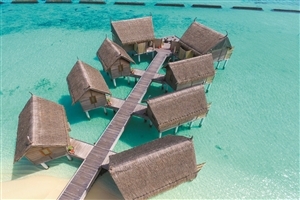 Water Villas provide guests with 66sqm of accommodation space and include direct access to the calming waters of the ocean from your own furnished terrace. 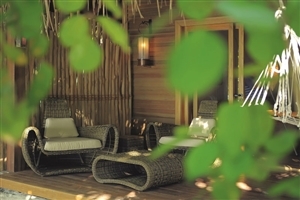 Although ideal as a secluded retreat for couples, the rooms are suitable for up to three people and feature an outdoor shower on your private deck. 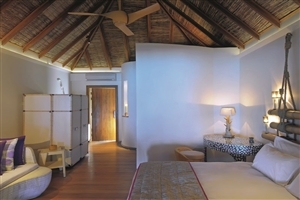 The Senior Water Villa is the top accommodation available at the resort, providing guests with 94sqm of space above the water. 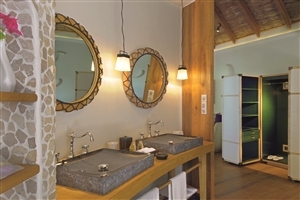 The rooms come complete with a large outdoor terrace with direct access to the water, and include an outdoor bathtub alongside the shower in the bathroom. 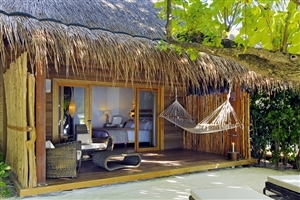 The Senior Water Villa is suitable for up to four people. 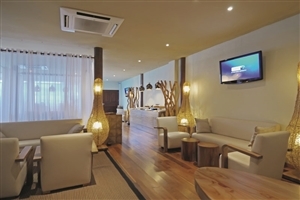 Manta: Partial white sand floors provide the chance to enjoy a barefoot dining experience at this ocean view restaurant, where daily changing menus provide the chance to sample a varied selection of gastronomic delights. 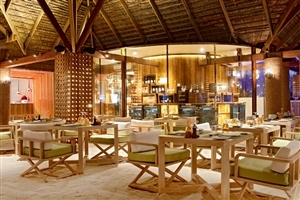 Alizee: Dine on the beach at this elegant restaurant offering a selection of seafood dishes and grilled fish and meat. 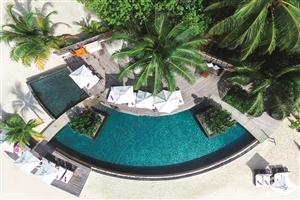 Totem Bar: Grab a selection of quick bites, such as burgers, sandwiches and fries, from this beachside bar.